Shortcuts allows you to change the Quick-launch shortcuts on your Nokia N9. With a simple drag-and-drop interface, you can drag icons to the shortcut bar and apply the results instantly. If you'd like to translate Shortcuts to your native language, please contact us on the below email. Utilitiesby: CODeRUSDescriptionLiveClock icon in menu. Clock hands moves once in a 5 minutes if display not locked. Utilitiesby: PamDescriptionDisplays the current date in the calendar icon. Utilitiesby: Harald MeyerDescriptionTurn your N9 into a LED flashlight by using the bright white flash LEDs (constant emission without flickering). 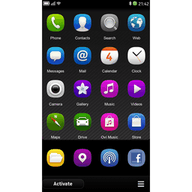 Note: PhoneTorch N9 works only with the Nokia N9 and N950 with Beta 2 or later firmware. CameraPro offers fast access to the N9 camera: 10x digital zoom, flash, white balance modes, exposure compensation, effects, virtual horizon, compass, anti-shake, time lapse, bracket (for HDR), autofocus, ISO, presets, self timer, burst mode, and Facebook, Flickr, Twitter, Picasa upload. Photo & videoby: Nick SlobodskyDescriptionThis simple application will add a pocket mirror into your phone. You guys need to learn how to drop those tegonolhcies from the user-agent, the current one seems quite ridiculous, it includes all known browsers and rendering engines .